Most construction industry professionals acknowledge that increased adoption of technology is in their future. Yet many still resist committing their time or money, and others invest sporadically, hoping to see results by using tech for tech’s sake. Improved project outcomes can only occur through understanding the most significant of the individual applications and devices that are currently available, and realizing how those technologies are already synergistically working together and giving rise to emergent processes. These processes will likely supplant many of the standalone systems that now dominate the tech landscape and will represent the new normal for project execution in the not-so-distant future. While technology can improve the design and construction process, implementation of technology must be part of a broader strategic platform. Here’s a look at a few technologies that are changing the game now, as well as paving the way for a more connected future. Perhaps the most widely adopted of all new technologies are mobile devices. 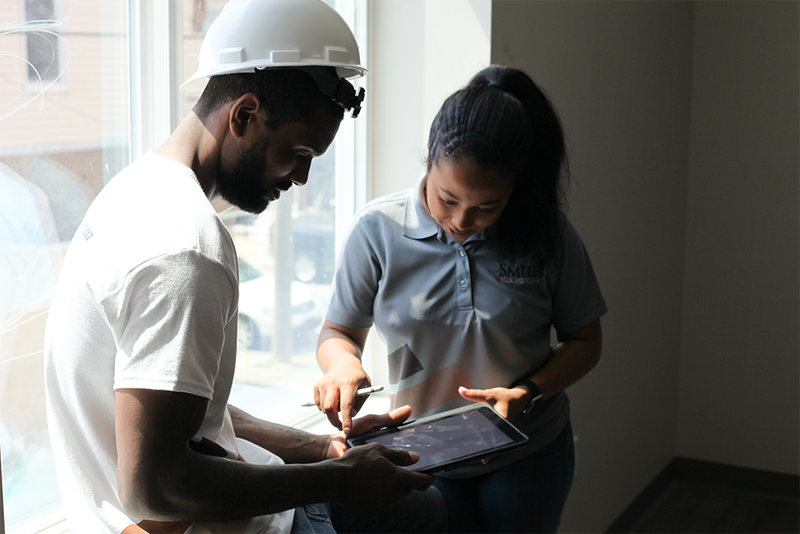 With their easy-to-use apps, they allow workers to access, document, share and edit important project information even while on the job site. Heavy-duty devices made specifically for field work feature rugged construction, screens that are better lit for viewing in bright daylight or poor weather conditions, and industry-specific components such as barcode scanners and radio-frequency identification readers (both of which can help track shipments, equipment, and materials). It’s widely believed that the future of mobile will be to dispense with devices entirely. Wearable gear probably represents the next “big thing,” a stopping point along the way as hardware developers pursue the elusive goal of achieving truly invisible ways to augment reality. BIM is another widely implemented technology. Recent versions incorporate an increasing amount of information into the model; for example, pulling from historical or other databases to improve delivery of information on site conditions, scheduling, etc. 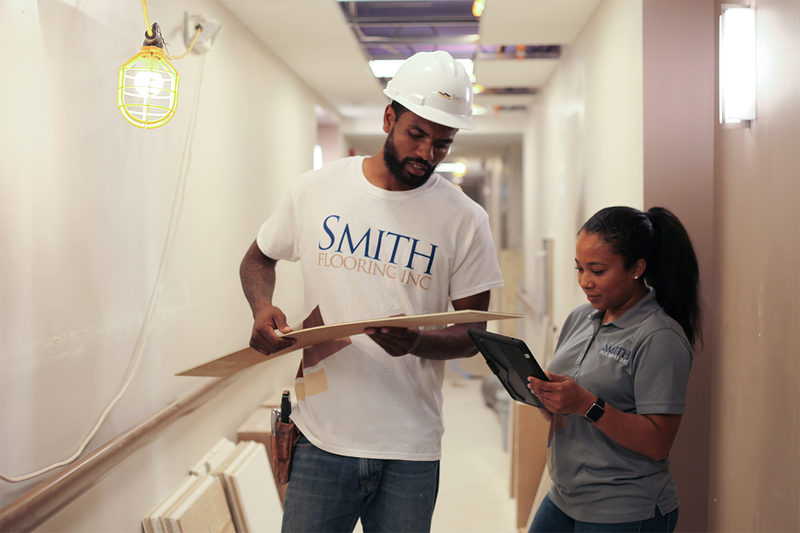 Advances in technology have enabled connecting BIM models to devices in the field, where real-time sharing enhances productivity. It is also becoming more common for an expanding range of team members to have simultaneous access to a project BIM model, and for the BIM model to be a required deliverable to the owner and operations team. Moving forward, linking ever-greater data sets—and even unleashing the power of machine learning—will enable faster, real-time delivery of information through BIM. Laser scanning offers enormous efficiency when it comes to assessing sites or as-built conditions. Field measurements performed with laser scanners capture very detailed geometric information in the form of “point cloud” data—that is, a large set of points on a coordinate system. Laser scanners are incredibly accurate and thus show the true conditions of a space and/or facility. This can be particularly useful when analyzing potential clashes between exiting conditions and new building elements. The data can be fed into BIM or CAD files, leading to time and cost savings. Future developments are likely to come in the form of faster data incorporation and more streamlining of the design-build process. In the past, it was a specialized and time-consuming task to import point cloud data into a building file. Recently, the task has become much faster and more accurate, but improved scanners and more seamless software interfacing should eventually make the process nearly automatic. Officially called unmanned aerial vehicles (UAVs), drones equipped with cameras have been in use for several years to collect information in locations that are hard for humans to access. 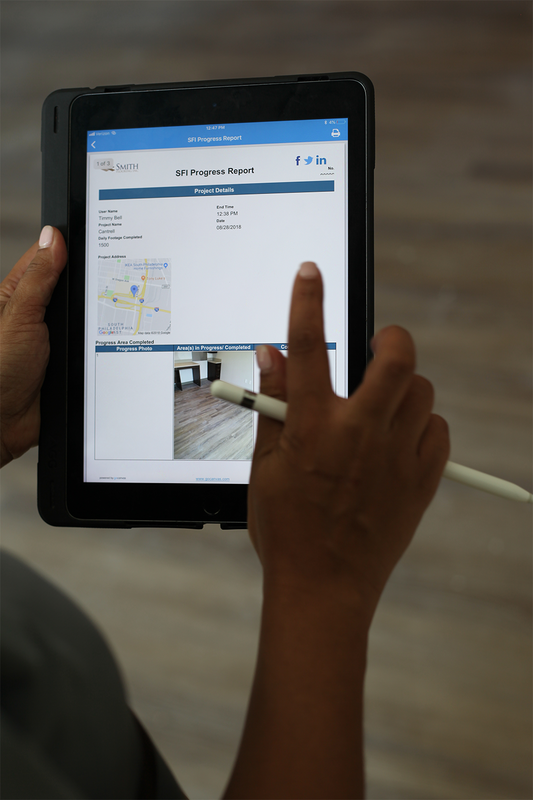 Captured images can support site assessment and inspections, as well as augment a project team’s understanding of progress and as-built conditions. Drones also can be utilized to monitor logistics, deliveries and the workforce. Some companies are taking drone footage and converting it into 3-D pictures that can be compared to architectural plans. Expected improvements largely focus on advanced cameras and lenses that can capture better images, as well as enhanced communication—in real time—between drones and software on the receiving end. There is also the potential to utilize sensors for monitoring. And, of course, one low-tech issue is critical: rules, regulations and controls (currently under the purview of the Federal Aviation Administration) must balance the needs of the industry with the needs of the public. GPS tracking has been a boon for any company that manages an equipment fleet. GPS hardware installed in each vehicle communicates with a “home base” via satellite, enabling managers to see where their vehicles are in real time. As with other technologies, future trends in GPS tracking likely involve greater interconnectedness with other systems. Fleet tracking software and telematics systems can provide instant data about field conditions, as well as equipment conditions, and feeding that information into a central dashboard will improve operations. Extruded concrete (including concrete composites), plastics and other materials are being used to create building components and even entire buildings. For example, the world’s first 3-D-printed office was recently constructed in Dubai. Robotic arms have been used in conjunction with 3-D printers to print a variety of forms. Robots also are being used for demolition, to place bricks, excavate and do other tasks. Inventors are working on improving the agility and scalability of these activities. The construction industry has tremendous potential for wearable devices, such as smart glasses and hardhats that can provide visualization, augmented and mixed reality. These visualization tools can provide improvements in accuracy, efficiency and safety. Other wearables, such as technology-enhanced safety vests, smart watches and health trackers, are being utilized to monitor workers motions and movements to enhance safety, increase productivity and reduce risk. A theme underlying all of the above technologies is the impending connection of many construction activities that are currently siloed. So far, industry conversations about big data have centered on asset management. For example, sensors on buildings can collect hundreds of readings that help assess building performance, and historical data can be used to inform scheduling decisions. Contractors already are utilizing technology to monitor equipment usage, fuel usage and maintenance, and construction equipment manufacturers are investing more in intelligent machines. Building materials suppliers are leveraging the IoT for quality control, delivery and forecasting. But in the near future, big data is going to become a fabric uniting and transforming other technologies. This is because cloud-based software-as-a-service generates data patterns as a byproduct of their core tasks. The byproducts are known as data exhaust—but they are not mere pollution. For example, most people make use of sophisticated apps that display real-time traffic conditions by crowd-sourcing data from cell phone signals and sensors on vehicles and roadways. A similar type of data analysis will be used on the construction site to assess real-time conditions there. Data exhaust can be used to improve construction activities ranging from supply chains to safety. Experts anticipate a move away from proprietary products and toward open source software to support this connectedness. In addition, data from the IoT can feed into business intelligence tools and enterprise resource planning systems to help companies better monitor and manage their business. This means AEC team members would do well to embrace the technologies that are already here—and not with a fingers-crossed, hope-for-immediate-ROI approach, but with forward thinking and plenty of strategizing. Doing so will not only provide the best end product on current projects, but also will ease the transition into a more connected and automated future.